OMG Posters! 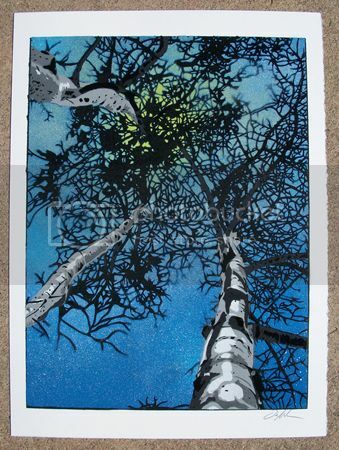 » Archive "Aspens" Mixed Media Print by Ian Millard (Onsale Info) - OMG Posters! Ian Millard is set to release another beautiful new mixed media piece today. 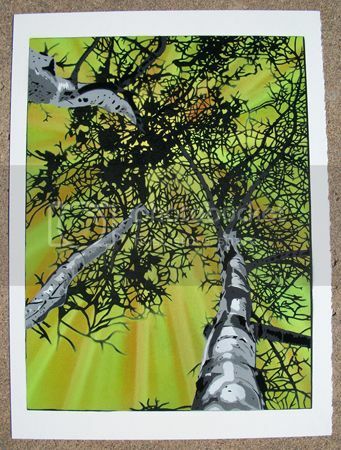 “Aspens” is an 11″ x 15″ spraypaint/stencil print, has an edition of 50 (even numbers are done, odd numbers will be custom), and will be $50. Visit IansPrints.com. Beautiful work. 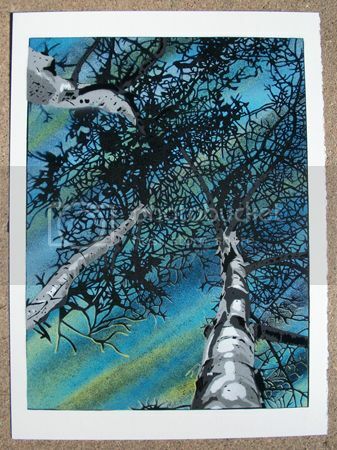 Love the custom prints that Ian always has available too. Ian is awesome… not a big fan of trees myself but thinking about it just because this guy rocks! i dunno he had the most success i ever saw with that Earth Day tree print, probably trying to stay on that there tree run for a bit.. works for McCarthy..
Yeh, those earth day prints went fast. I tried to go after one of the foils and got completely shut out. These will probably sell out with some quickness as well. @NatronBomb BTW, the WWF prints look great. Working on trying to figure out how i want to frame up the one for my g/f. Thanks again!